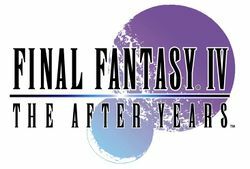 Final Fantasy IV: The After Years is the sequel to Final Fantasy IV, taking place seventeen years after the original. The game follows a number of characters, including those from the original title and a few new characters. The After Years is broken up into 13 chapters over 11 "tales", largely modeled after the serialized format of many manga. Each tale tells the story of one character contemporaneously with the others. The game's chapters were originally released for mobile phones in Japan between February 18 and December 24, 2008. At the 2009 Game Developers Conference, an American release was announced for the Wii's WiiWare service. In America the chapters will be spread out from June 1 to September 7, 2009. This page was last edited on 16 August 2016, at 20:20.